I hope everyone had a great Easter! 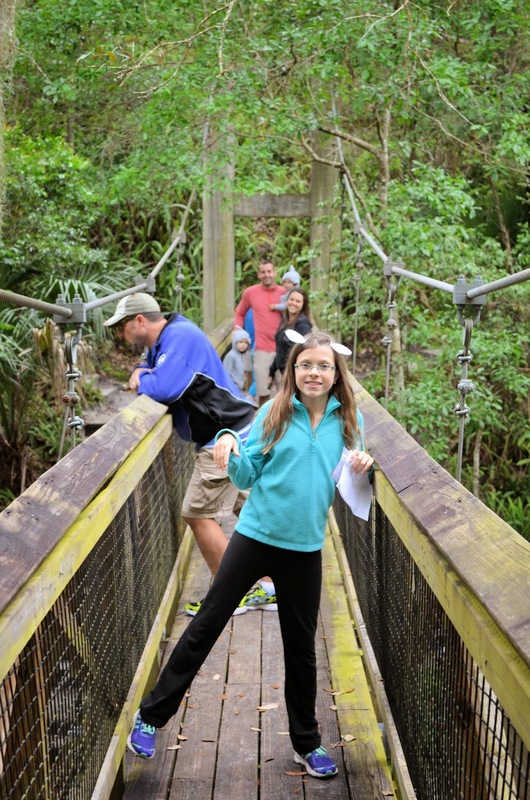 My family and I celebrated by visiting with family at a state park called the Ravine Gardens in Palatka, FL. It is so pretty there and I wish we had more time to hike and play there before heading back home for Easter dinner with the in-laws. 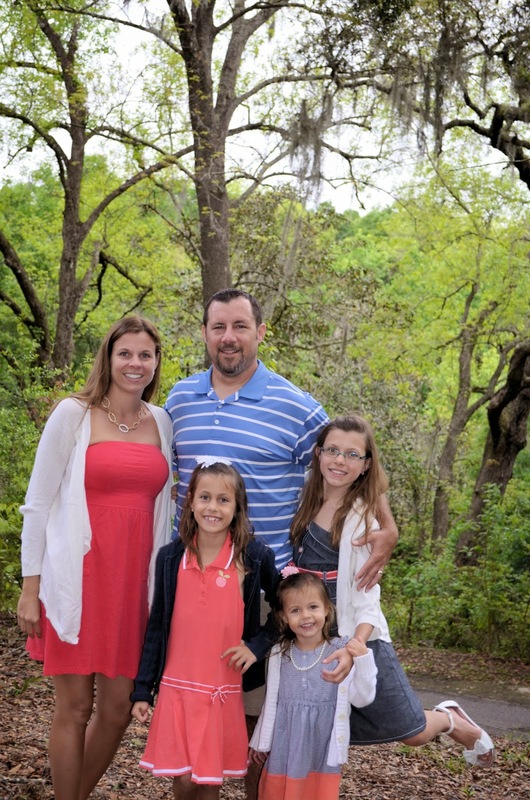 It was beautiful place to get some fun family pictures! After a few quick pictures, we changed clothes so we could do a little exploring! The kids were able to run and be free. We all got a bit of exercise and had a little fun on the playground! 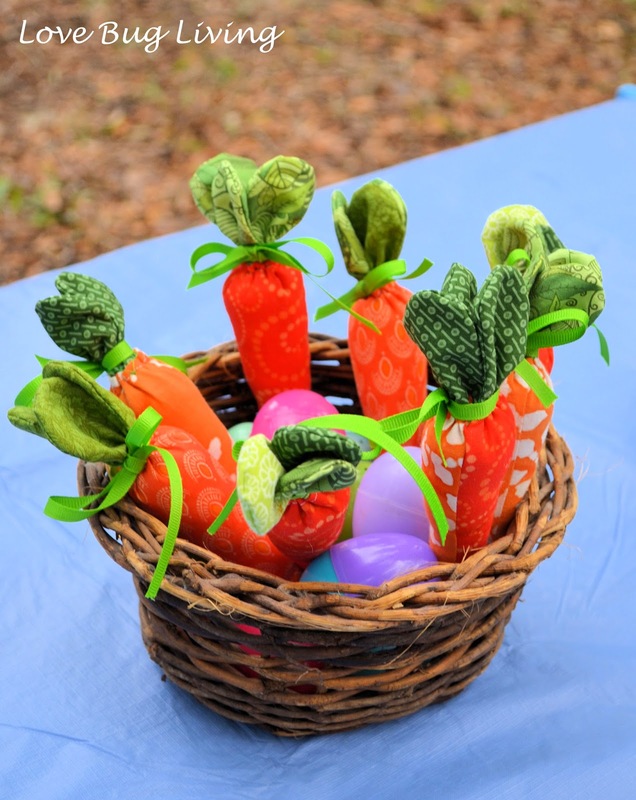 My Mom made this cute little carrot centerpiece for our Easter picnic. I'm pretty sure she found the pattern for the carrots on Pinterest. Aren't they adorable? 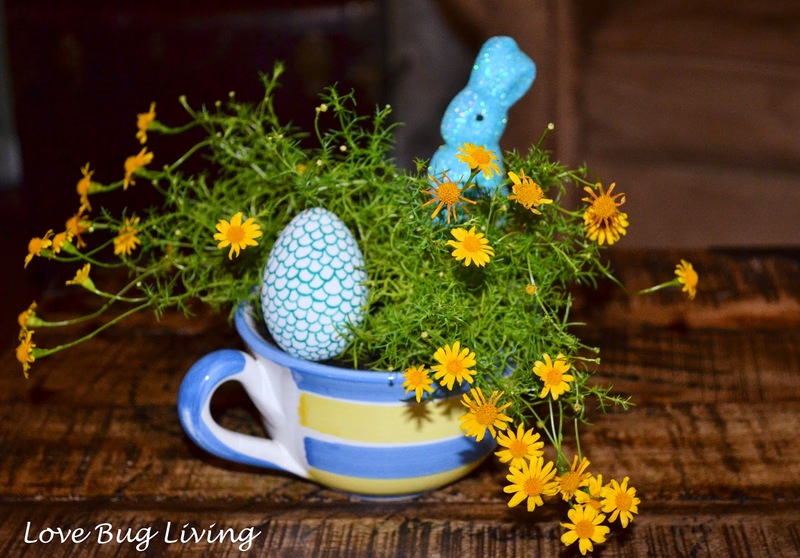 I wanted to give my Mom a little Easter gift, so I made her this little Spring Centerpiece Mug. I found the flowering plant at Lowe's and potted it in this yellow and blue striped mug. I added a Doodle Egg that I made and a glitter bunny pick. Simple and sweet! She used the shirt sleeve as an inside pocket in one of the purses and the shirt pocket in another one. 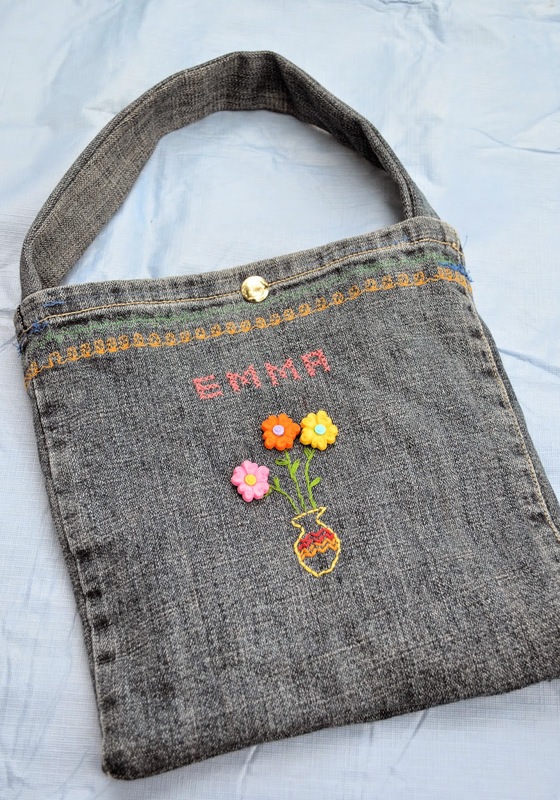 She embroidered the front with their name and used buttons as flowers. My girls loved them! I made everyone a little sweet treat as well. 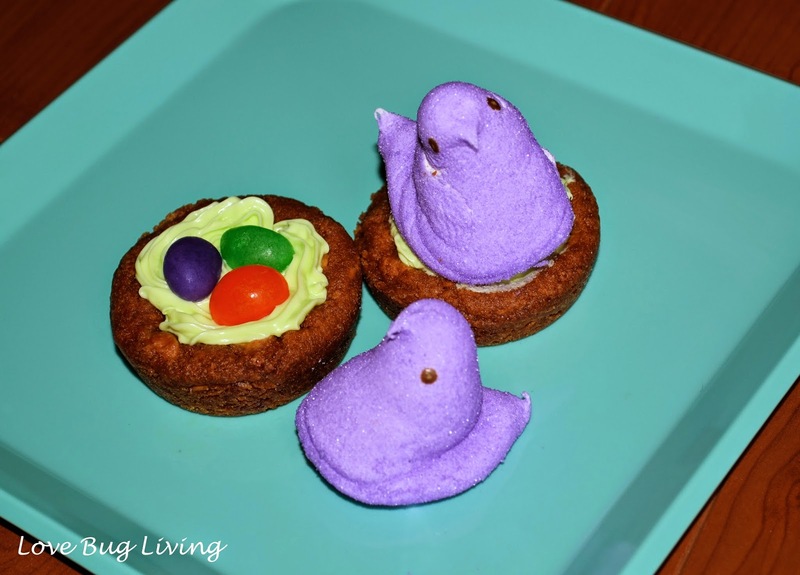 I used my Cookie Cupcake recipe to create these Bird's Nest Cookies. After the cookies bake, they sink a bit in the middle. I added some green tinted frosting to the middle for the grass and placed my jelly bean eggs on top. A little more frosting helps the Peep Chick to sit on his nest! For my Dad, I made some Peep Pops. He loves peeps, but thinks they taste better when they are a bit stale. I tend to agree. You might want to try poking a couple of holes in your package and letting it sit to make your Peeps a bit more chewy. 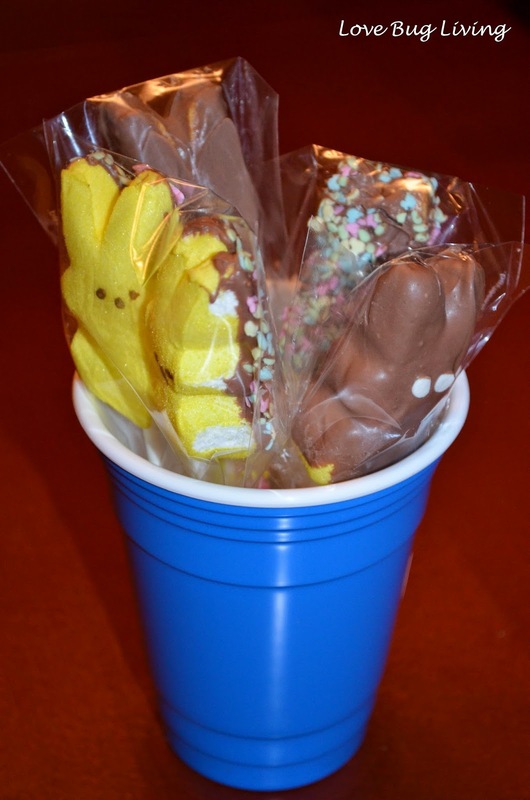 To make Peep Pops, I put some Bunny Peeps on pop sticks and dipped them in chocolate that I heated in the microwave as directed on the package. Some of the Peeps I dipped entirely. Others I just dipped the back and then dipped them in spring colored sprinkles. However you dip yours, I'm sure they will be yummy! Our Easter was a great day spent with family. I hope yours was just as special!